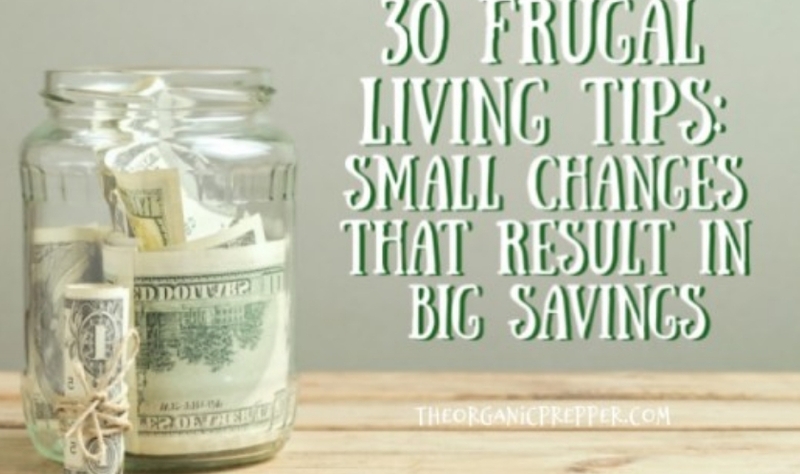 Daisy Luther over at the Organic Prepper website had a great post recently called "30 frugal-living tips: Small changes that result in big savings." Daisy's frugality advice echoes some of the suggestions I have in my ebooks "Plugging the Leaks" and "20 ways to cut your food bill." 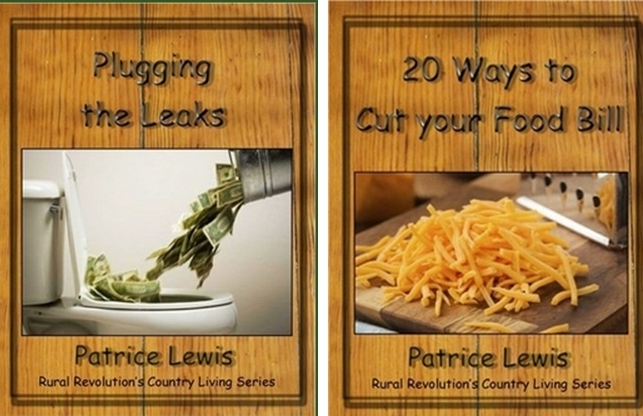 What other good frugality tips can people offer? Most people may have to start a little slower when making life changes. Stop drinking at Starbucks may be a better starting point. Ah come on Ken, it isn't that bad. Euthanasia would solve a lot of problems too but it is the best choice? 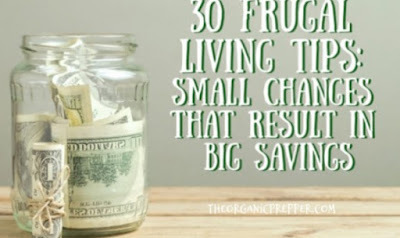 My best tip would be to not stop your frugal practices just because money's no longer tight. For example, I learned to make my own laundry detergent from an online recipe 8 years ago and I haven't stopped--why should I? It works just fine, and at 21 cents per gallon, you can bet I'm not going to switch to store-bought again! Calculating roughly, I figure I've saved $1000 since I started. As for surviving on canned spaghetti, I don't suppose they ever priced a package of pasta and a jar of spaghetti sauce, or peanut butter and jelly and baking a loaf of bread, dried peas or beans, and a bag of cornmeal for cornbread. Oops! I'm sorry. I was looking for the Frugal Tips room. Me thinks you could save even more with celibacy. The health risks alone outweigh any perceived benefits. Agree with you on both counts. Canned spaghetti. I can do a lot with the price of canned spaghetti for a family of say four. The problem, IMHO, they don't plan more than one meal at a time. I took the hints from Amy Dacyczyn's Tightwad Gazette and shop to stock my pantry and then make my meals from that. Buying grocery items when they are on sale and having them on hand is a lot cheaper than planning a menu each week (or day) and just buying what you need for that. We use most of the more common tips but our biggest saver is making a yearly budget and sticking to it. This allows us to live beneath our fixed income (retired) and save for unexpected expenses. Like the year both our cars were hit due to people running stop lights/signs. We were able to get one repaired and replace the other from our savings. We each get a small "allowance" each month to spend any way we choose. Recently, my husband purchased a very cheap 4 wheeler and was able to fix it up with his money. I've purchased all my canning equipment, a dehydrator and a new freezer with mine. As my parents always told us, you really appreciate those things that you want badly enough to save to purchase. It's really true for us. I think an easy one is to try to live 5% or 10% under what you can. For many people, they will not notice the difference. Stop using toilet paper and use earth's natural resources such as leaves, etc. Better yet, just forget the toilet and use the great outdoors and bury the deposits.